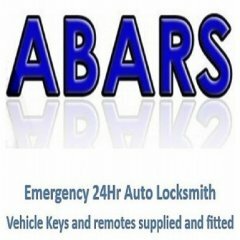 LTi London taxi tx4 key blanks ? Last time had one in , the universal 6G done the job, but I thought there must be a specific blank for it. I will check Guardian/Imperial blanks next time. Thanks for your assistance Rick and Graham..
Have you tried using the Guardian/Imperial blank. We've had a few of these cheap copies of the ERA Pro-Fit and not found a suitable blank that does them perfect, every time. Rick. Had this key in today, very similar to ERA 7 Guage but it's 6 Guage and the bit is longer than ERA. Cutt it on universal mortice blank but just wonder if there are specific blanks for this key? Doesn't say on the case. Rick. Did that have the ford shaped top ? Old westland lock. Any one for an I'd for a replacement. It’s not a maz24 is it ? any ideas? Which number are you after? that seems to be the westminster way !! carry on! I’ve used windows 10 with my umarq and it’s fine. So do nothing and hope things get better.............How many will still be here in 5 years.